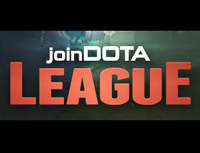 The joinDOTA League is a worldwide Dota 2 League including Europa, America and Asia. There is no limit on players and teams for the sign up. Plans are currently for four seasons per year and 12 weeks per season. The first playday will be the 26th of january 2014. In 2013, Dota 2 has had a stable rise in the competitive side after the success of The International 3. As the new year arrives, Dota 2 tournaments have now become stable with constant weekly tournaments for teams all over the world with the joinDota League. JoinDota League allows the top teams from different regions from different sides of the world to compete with each other. Previously, joinDota has hosted tournaments but since the end of Pick League there were no tournaments that showcased semi-pro teams that would help them go pro. Now, joinDota League promises to bring them to the spotlight. 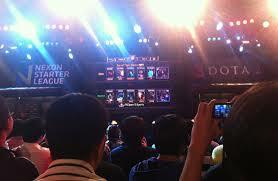 JoinDota League is a league system for an infinite amount of teams that are divided into different divisions. 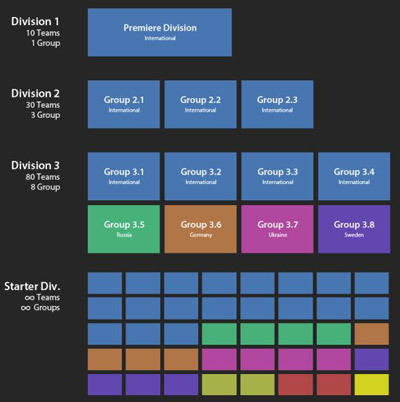 The top division will be made up of the professional teams while the lowest divisions will be filled with the entry amateur teams. Each week, the teams from each division will fight it out in order to move ahead of their division. Each team will have to do their best in order to move up from their current division. Losing will only lose them more points and position from their own respective division. Once the team has reached the top point in their division, they will be faced with the promotion games from the relegated teams from the division they will be entering. The top team from Division 3 will battle with the relegated team or the lowest scoring team from Division 2. If the challenger wins, they will be promoted to the next division and the relegated team drops to Division 3. If the relegated team wins, they retain their position and work their way back up in the same division. Meanwhile, the challenger team will retain their top spot in Division 3. There will be three leagues that separates three regions in order to avoid lags and issues regarding time zones and games. The three leagues are from Europe, America, and Asia. Europe will consist of Russia, Africa, and some parts of West Asia. America will be composed of North and South America, while Asia will consist of teams from SEA and Australia. Aside from these three leagues, there will also be significant regions that will have their own leagues as well. Russia, Sweden, Germany will have their own national groups in the lower divisions. The best thing about joinDota League is that it does not have any sponsors which mean that it can last for a long time without the pressure of sponsor agreement and all the difficulties that comes with it. This way, the players have a more stable environment to harness their skills and continue to get better all in the name of eSports and Dota 2. Read more about placing a bet on Dota 2 in our esports bookmaker review. More Informations at joindota.com or liquipedia.